Why is a very happily married man reading a book on how to pick up women? See I thought I’d try out creating some search pages on Mahalo.com. I looked at the most wanted list sorted by money. Near the top was “How to Flirt Videos”. Well I spend too much time on video sharing sites, so I figured I could do any video page. I kind of got the philosophy of Mahalo to be “do the search for the person and give them the 10 or so results they would have found if they’d waded through the crap.” So I started wading through flirting videos. I found some good stuff and completed my page, How To Flirt Videos. But in the process I ran across a related interview video of Neil Strauss – the world’s greatest pickup artist – on The View. Can you imagine a tougher audience than the women of The View on someone calling himself the worlds greatest pickup artist? Any way he came off well and it turned out the book wasn’t really about how to pick up women, but how this community of men – who totally dedicate themselves to learning how to pick up woman – live. Sounded like a great book about an online community. But you don’t buy that book with out consulting the Mrs first. She finds that one and you are in serious trouble. Luckily for me, my wife is the best wife in the whole world and she encouraged me to buy it after I started reading it in the bookstore and realized it was good. Even thought it retails for $35. 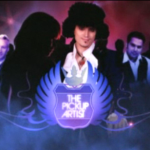 Once I started reading the book I searched online for the people in it and found one of the main characters, Mystery, had hosted a VH1 Reality show called the Pick Up Artist. Turns out the whole show was on VH1 video, so I watched it. Set in Austin which was a plus for me as a Texan. At a fundamental level, the methods Mystery teaches work for any social situation where you want to meet and have fun with people. Sure they are all taught in the context of night clubs, but that doesn’t have to be where they are used. They are taught for the purposes of meeting girls and “closing” on a variety of level. Kissing/making out, getting phone numbers to continue the relationship the next day, or getting laid. But that doesn’t have to be the outcome you are going for. For instance as a photographer I often meet pretty women I’d love to shoot. These principles easily apply to a “photoshoot close”. If I were a single guy, I’d be just like the guys on the show. Awkward. Shy. Afraid to even approach a pretty woman or group of strangers. But having a little knowledge of social dynamics changes everything. One of the big things is having something to say. PUAs learn “Openings”. An opening is generally a question that opens a discussion. It isn’t about specifics of the persons you are opening to. It is an opinion. For instance you might say to a group of girls. “Hey my buddy’s were arguing about something and we need your opinion. Who lies more men or women?” That’s a conversation starter. Generally what happens when a guy tries to pick up a girl is he gives her a quiz. People hate this. “What is your name? What do you do?” Those are boring. You don’t want to be boring. Having an opener, or many openers, approaching groups of strangers gets easier. You know what to say. You aren’t fumbling for what happens next and this gives you confidence. A pick up conversation has a basic structure. Approach & Open – come up to a group and start a conversation. Build Rapport – you keep the conversation going by starting, or stacking, new threads. Use more of your conversation starters to get other conversations started. Isolate Your Target – If you are after one member of the conversation, say a pretty girl, at some point you need to get her by herself so you can have a more intimate discussion. Close – ask for what you want. A phone number, a kiss, to go back to your hotel room, a photoshoot, to go to church. PUAs call it congruence. It means what you are saying and doing is what you actually mean. Girls can tell if you are trying to con them. If you are at a night club striking up conversations, they figure you are on the prowl. That’s OK. What isn’t OK is to act like you care, when you don’t. If you ask a girl about who lies more, you need to legitimately want to know her opinion. And don’t tell her her answer is the greatest if you don’t think it is. They can smell a liar a mile away. As soon as they do, you might as well “roll off” – ie. leave. Being afraid makes people uncomfortable. Confidence attracts them. You can let them think you have to have them. Rather you need to honestly be trying to find out what kind of person they are and if that is the kind of person you are interested in. You aren’t qualifying yourself to them, they are qualifying themselves to you. Become interesting and she’ll come to you. Chase her and she’ll own you. Learning magic tricks, conversation starters and quiz games makes you interesting. You can keep a conversation going. You can entertain people. That makes their evening more fun and they want to keep you around. See how those apply to many social situation? Hmm… makes sense. And yeah, the principles apply in a host of social situations, not just picking up women. I may have to ask to borrow this one once I’m back in Texas.